In many ways, stu­dents are the prod­ucts of edu­ca­tors. If a school or uni­ver­si­ty sys­tem con­sis­tent­ly pro­duces artis­tic, sci­en­tif­ic, busi­ness, and com­mu­ni­ty lead­ers, then it’s safe to say that the sys­tem is serv­ing soci­ety well. So, it only makes sense that edu­ca­tors need to exam­ine (and end­less­ly re-exam­ine) what stu­dents are being taught. Thus, there’s prob­a­bly no bet­ter way to begin a new year of nextsens­ing blog posts than by point­ing you to “10 Com­pe­ten­cies Stu­dents Need To Thrive In The Future” [link]. As it sounds, this is an exam­i­na­tion of the ten most impor­tant skills stu­dents need in order to suc­ceed. 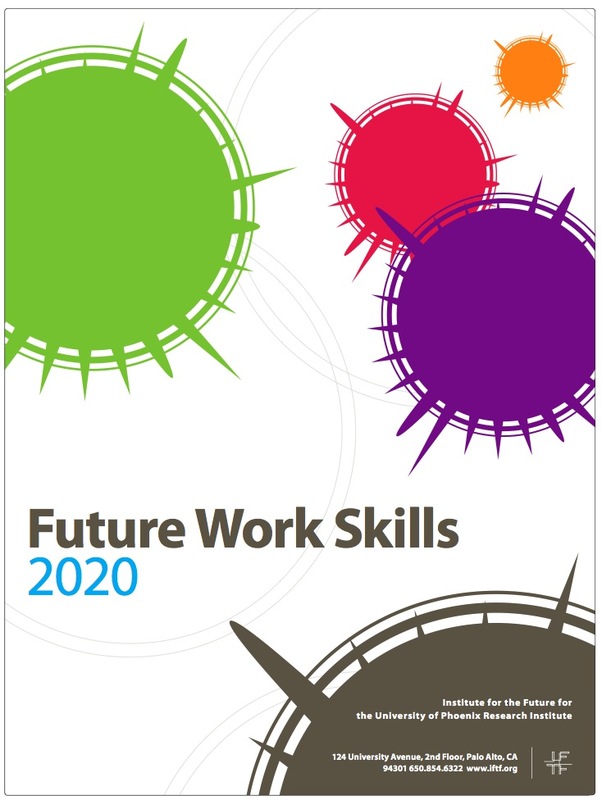 The source for these 10 skills is Future Work Skills 2020, a study con­duct­ed by the Insti­tute for the Future for the Uni­ver­si­ty of Phoenix Research Insti­tute [link]. Each of the 10 skills is worth your atten­tion; but, I would espe­cial­ly point out what the report says about “sense-mak­ing”. It’s actu­al­ly #1 on the list! The report recog­nis­es that tech­nol­o­gy will con­tin­ue to increase its pres­ence in everyone’s life. How­ev­er: “A com­put­er may be able to beat a human in a game of chess or Jeop­ardy by sheer force of its com­pu­ta­tion­al abil­i­ties, but if you ask it whether it wants to play pool, it won’t be able to tell whether you are talk­ing about swim­ming, finan­cial port­fo­lios, or bil­liards.” In oth­er words, it takes a human to make sense of a com­plex world. Yet the 10 skills list­ed for stu­dents are, for me, need­ed by every­one. Dis­rup­tive ambi­gu­i­ty, the state of mind in which the future path is unclear main­ly because so lit­tle makes sense, is per­va­sive. And sense-mak­ing is, in real­i­ty, a set of skills. Nextsens­ing is, in effect, a process and set of tools for mak­ing sense of future-tense oppor­tu­ni­ties so you can act upon them today. Iden­ti­fy­ing the req­ui­site com­pe­ten­cy frame­work and cor­re­spond­ing skills that will help exec­u­tives and their organ­i­sa­tions become more effec­tive in deal­ing with dis­rup­tive ambi­gu­i­ty is crit­i­cal­ly impor­tant, which is why it is the sub­ject of a forth­com­ing e-book I am begin­ning to draft. A new year begins. How should you align with this new start? The time for nextsens­ing has arrived.